If President Trump is serious about looking at control proposals, Democrats should "welcome" that, former Maryland governor and 2016 Democratic presidential candidate Martin O'Malley said Thursday. O'Malley, appearing on CBSN's "Red & Blue," said that if Mr. Trump has had some change of heart and is willing to work with Democrats, his party should embrace that possibility. Mr. Trump, in a bipartisan meeting with lawmakers on both sides of the aisle this week, responded positively to Democratic proposals on everything from background checks to keeping guns out of the hands of domestic abusers. The president even blasted Republicans for being "petrified of the NRA." "If the president has an open mind on this issue and is not the Donald Trump we saw on the campaign, I suppose we should welcome that," O'Malley said on CBSN. As for Mr. Trump's challenging the NRA, O'Malley said that "after the last year, I can't say I am surprised at anything Donald Trump would say." O'Malley said they need to "try to find common ground to move this ball forward" on gun control. O'Malley, who founded the Win Back Your State political action committee to help Democrats in down-ballot elections, said he doesn't think Democrats should be "running around trying to impose litmus tests" in the 2018 election. O'Malley said he supported banning assault-style weapons. I banned AR-15s in Maryland because they have only one true purpose: the obliteration of human beings. "Red & Blue" anchor Elaine Quijano asked O'Malley about his recent campaigning for Conor Lamb, a Democratic congressional hopeful in Pennsylvania, who is more moderate and who has not said if he supports a ban on assault-style weapons. Lamb has said he supports stronger background checks. 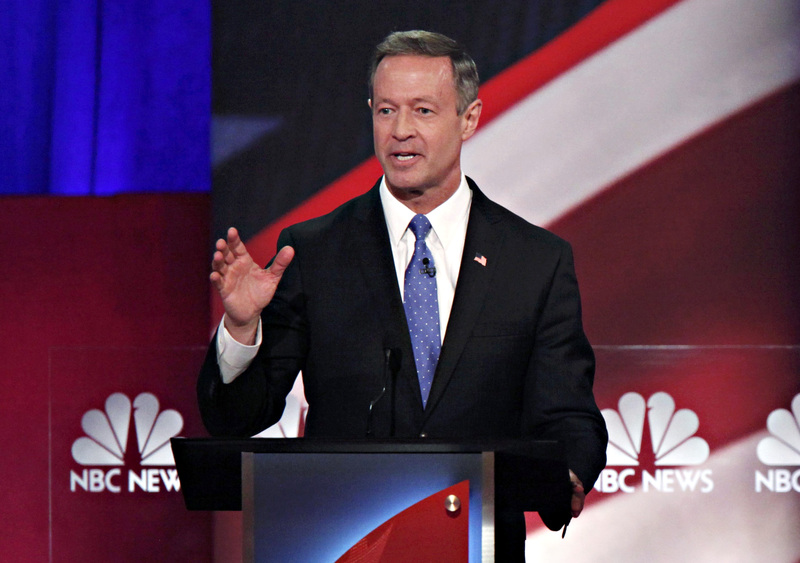 "I personally, as a governor, did in fact ban the AR-15 and other combat assault weapons," O'Malley said. "However we can move this ball down the field -- there are some states, as Maryland did, that will ban combat assault weapons, require background checks, better information-sharing, around mental health issues, school perimeter security -- there will be some states that can go that far ... whatever our Congress people do to restore some common sense gun regulations in our country would be a possible step forward. But I think you will states being able to move this forward before our Congress does." Quijano asked if he said gun regulation should be on a case-by-case basis depending on the state, but O'Malley disagreed. "I'm not a believer that we should be running around to impose litmus tests, but I am a believer that we should ban combat, assault weapons," he said. O'Malley said state and local elections so far have generally boded well for Democrats, flipping even some districts Mr. Trump easily won. O'Malley said candidates around the country are telling him "the economic anxiety is as high as its ever been." O'Malley warned against making this year's message all about being anti-Trump, saying people are tired of hearing about him. "Nobody wants to hear about Donald Trump," O'Malley said, noting it's Democrats who focus on "kitchen table" issues who are winning races.